Monthly research practice sessions, proposed in collaboration with Benjamin Coyle in Lyon. Cellule d’essai was born from the desire to take time to be influenced, to get challenged, to surprise oneself, to get lost, to make mistakes, to learn from others, to self-train. Some participants come with a personal research or practice, that they would like to propose and test with a group, the time of an evening. Others arrive with the desire to delve into other people’s questionning and reflections. 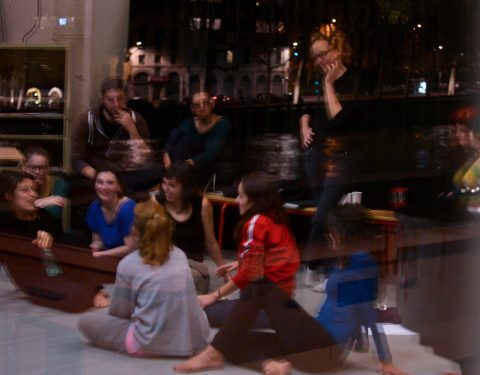 Cellule D’essai is thought as a moment for artistic sharing, collective experimentation and exchange of knowledge. Interdisciplinary, the sessions are aimed for dancers, actors, musicians and performers of any type.